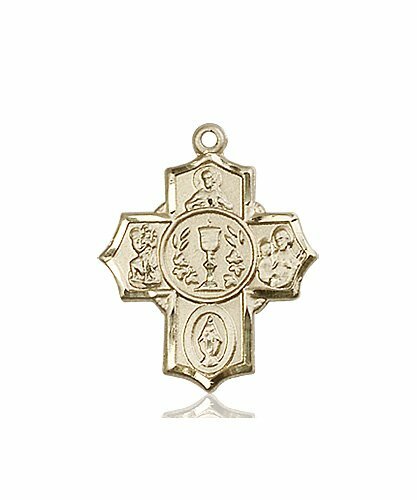 This First Communion medal features images of the Sacred Heart, St. Christopher, St. Joseph, the Blessed Mother on each part of the cross with an image of a Chalice at the center. 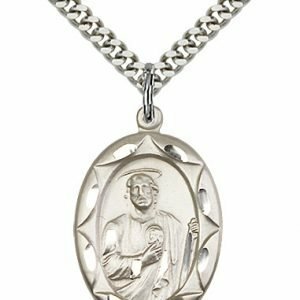 Add to your favorite chain to make a beautiful necklace. 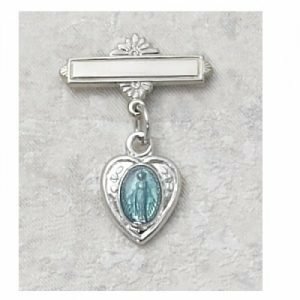 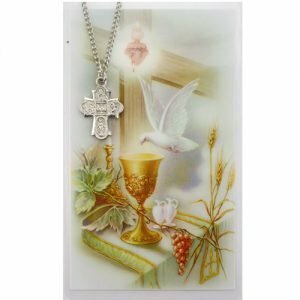 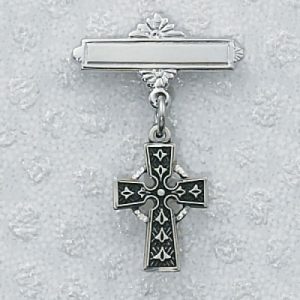 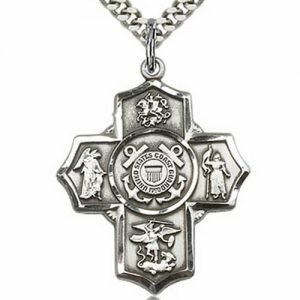 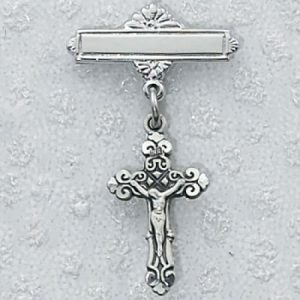 A quality piece of religious jewelry, this First Communion features images of the Sacred Heart, St. Christopher, St. Joseph, the Blessed Mother on each part of the cross with an image of a Chalice at the center. 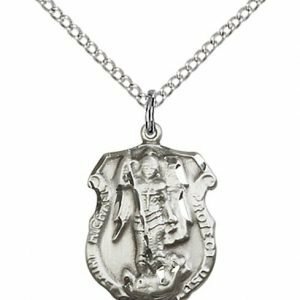 Add to your favorite chain to make a beautiful necklace. 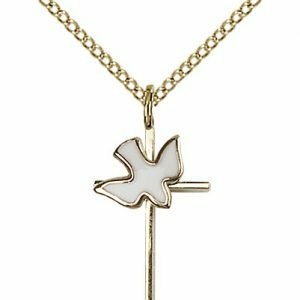 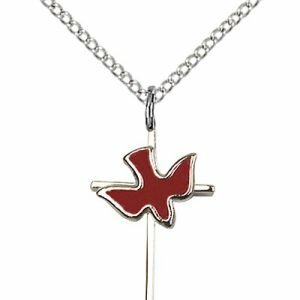 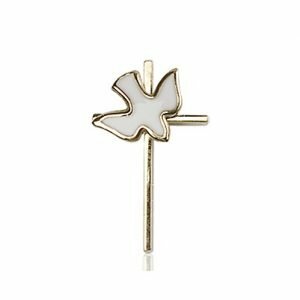 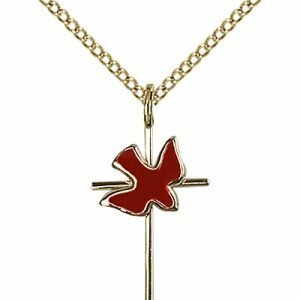 Packaged in a beautiful gift box, this beautiful gold First Communion necklace is a great gift idea for a First Communicant.